It all began on Thursday. Caitlin McNeil, a singer from the Scottish island of Colonsay, posted an image on Tumblr of the now-infamous dress after being worn by the mother of the bride at a wedding she had attended. The simple yet seemingly magical image took the web by storm. Was it blue and black or white and gold? An optical illusion based on the context and lighting of the image meant that some saw the colours of the frock differently from others. People who saw blue and black couldn’t imagine how anyone could see white and gold, and vice versa (you can even take part in Netimperative’s own poll on the subject below). Twitter was in an uproar. Buzzfeed’s article on the debate reportedly drew more visitors to the site than any other article. Celebrities also chimed in with the likes of Justin Bieber and Taylor Swift giving their verdict. At this point, many companies sprang into action, eager to hitch their wagon onto the beyond viral dress and get some free social media marketing. Of course, the real winner was the maker of the dress. While social media users argued if #thedress is blue and black or white and gold, the British clothing company behind the suddenly famous frock reaped the benefits of the Internet’s befuddlement. Ian Johnson, creative manager for Birmingham-based Roman Originals, said the dress usually sold an average of about a hundred a week selling through the company’s online and brick-and-mortar channels. The company started selling the dress in November of 2014. The spotlight of viral fame boosted sales considerably. “We’re vastly over where we’d be normally,” Johnson said. “This is looking like a good black Friday.” It took only half an hour for the 300 dresses on Roman Originals’ site to sell out on Friday morning. “Our website’s currently at about a million visits to this page alone,” Johnson said. “This is 100 percent not a marketing campaign by us, it came by complete surprise,” Johnson said. 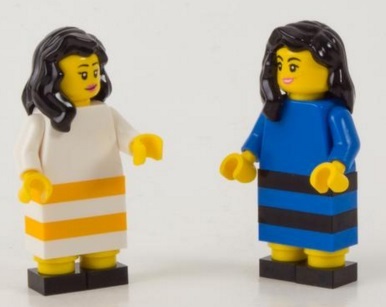 Aside from a surge of demand for the original blue and black dress (yes, that’s the real color combination), Johnson said Roman Originals has been inundated with calls from people who want a white and gold version, as the dress appeared to many online. “We’re getting calls constantly — about 150 calls in the last 45 minutes,” Johnson said. He said the company was trying to figure out how quickly it could turn out the Internet-inspired version of the dress, estimating that turnaround time could be a matter of weeks if production is given the go-ahead. “We’re currently looking into it,” he said.